Road Runner Star 24 in. Barstool 24 in. Earn up to 1,200 reward points. Road Runner Star Bartool 2-Pack 24 in. A comfortable bar stool with the Road Runner "Star" logo. 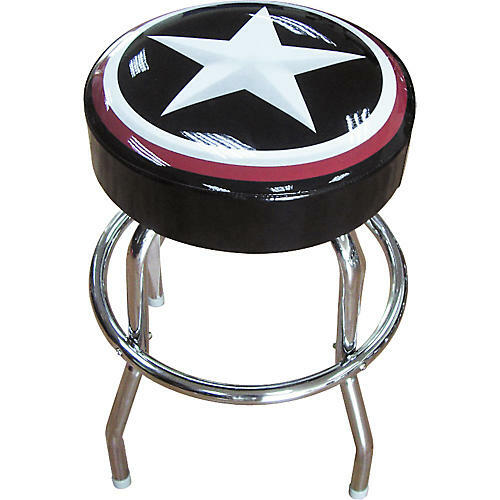 This barstool features the Road Runner Star logo across the top of it's black, padded vinyl seat. Adding to your comfort is a metal foot ring, and for your safety, non-slip rubber feet. It is 24 in. tall. WARNING: This product contains a chemical known to the state of California to cause birth defects and other reproductive harm.